Applicants with an Admission Points Score between 22 and 29 may be referred to write the Access Assessment Test before a decision is made on whether or not to admit the applicant to the course. Applicants over the age of 23 who do not comply with the requirements stipulated, may be admitted to the programme at the discretion of the Head of Department on the basis of work experience, academic records and psychometric and language test results. Applicants who do not meet the requirements for direct admission, and who have an SPS of 18 or higher, may be referred to write the Access Assessment Test before a decision is made on whether or not to admit the applicant to the course. Applicants over the age of 23 years who do not comply with the requirements stipulated may be admitted to the programme at the discretion of the Head of Department on the basis of work experience, academic record and psychometric and language test results. The purpose of this qualification is to prepare a person for the demands of a management position. Students who complete this diploma will be in an excellent position to manage their own business. Candidates who satisfy the minimum requirements and who apply before the closing date receive preference. Should these applications exceed capacity, however, selection is done on academic grounds using the rating system. Late applications are only considered where capacity is available. Selection of late applications who satisfy the minimum requirements is done on the basis of first come, first served. Final acceptance is based on official Grade 12 results. Selection based on other school results (e.g. November Grade 11 results) is provisional and subject to official Grade 12 results. Must pass at least 40% of registered modules in order to be re-admitted to the full-time qualification. Must pass at least 25% of registered modules in order to be re-admitted to the qualification. Must pass at least 50% of modules enrolled for. 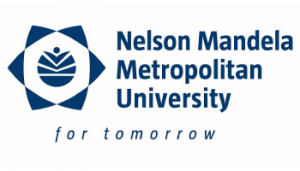 The re-admission of students is, in addition to the above, subject to the regulations governing the maximum duration of study as published in the General Prospectus of the NMMU. The qualification shall extend over three years of full-time or four years of part-time study. Careers: business manager, business owner.